The first scientific journals, Philosophical Transactions of the Royal Society, begin monthly publication in England. Greek rebels revolt against the Ottoman Empire. 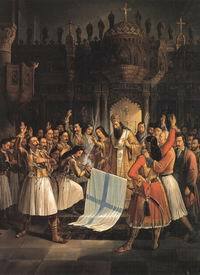 The revolt is put down, but it marks the beginning of a ten-year struggle (1821-1830) which results in an independent Greek state, albeit one containing only one-third of the Greek population, and subject to outside interference from other imperialist powers. The Labour Parliament is convened in Manchester, England. A response to a mill-owners’ lockout of 20,000 striking spinners and weavers, it grows into an ambitious project to create a working-class alternative to the ruling-class Parliament in London. Among the delegates are workers who have been involved in the Chartist movement, which has campaigned for decades to win the right to vote for working people. Over the course of two weeks, the delegates adopt a programme for supporting striking workers and starting agricultural and worker-run co-operatives. 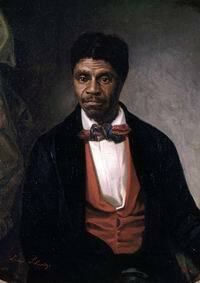 The Dred Scott decision. The United States Supreme Court rules that the federal government has no power to regulate slavery in the territories, and that people of African descent (both slave and free) are not protected by the Constitution and are not U.S. citizens. The decision is the culmination of a concerted push to expand slavery; one of its effects is to permit the unhindered expansion of slavery into the territories, even where territorial legislatures have outlawed slavery. The decision is hugely controversial, and leads anti-slavery forces to organize themselves more effectively. The First World Congress of the Third International unanimously adopts The Manifesto of the Communist International to the Workers of the World. Written by Leon Trotsky, it concludes with a call for revolutionary action: “Bourgeois world order has been sufficiently lashed by Socialist criticism. The task of the International Communist Party consists in overthrowing this order and erecting in its place the edifice of the socialist order. We summon the working men and women of all countries to unite under the Communist banner which is already the banner of the first great victories. 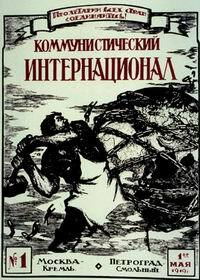 Further Reading: Documents on the Third International 1919-1943. The Platform of the Communist International. 12,000 miners in Cape Breton go on strike. Their goal: to restore their wages to where they were in 1922, before the company, BESCO, unilaterally slashed their pay. Company police respond with a campaign of terror in the towns in the area, riding their horses into any group of people they spot, and beating up anyone they catch. BESCO, which owns the utilities and the grocery stores, cuts off electricity and water, and credit in the stores, driving people to the edge of starvation. On June 11, about 3,000 men and boys gather at the power plant in New Waterford in an attempt to restore power and water. Police fire their guns into the crowd, killing one and injuring two. Several days of rioting follow, and 2,000 soldiers are sent in to ‘restore order’. In August, the strike ends when the company, under pressure from the provincial government, agrees to the miners' demands. Ghana becomes the first black African country to become independent of colonial rule.